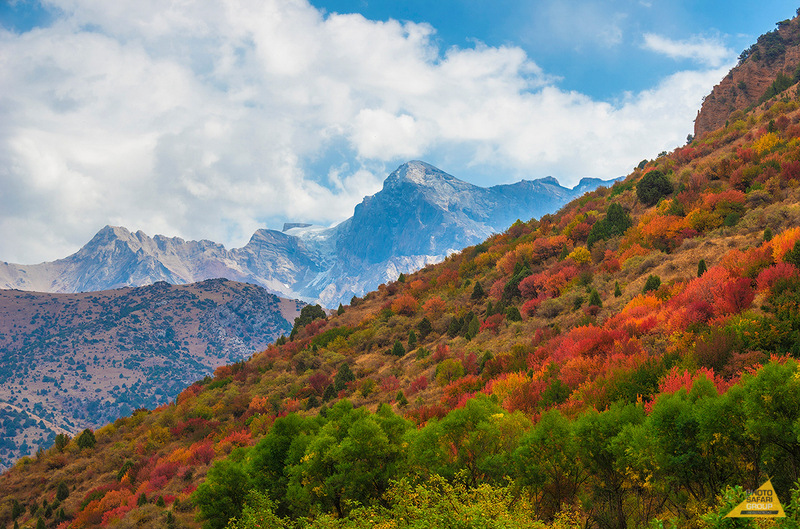 Kazakhstan is the country with a huge diversity of cultural, archaeological, natural features. 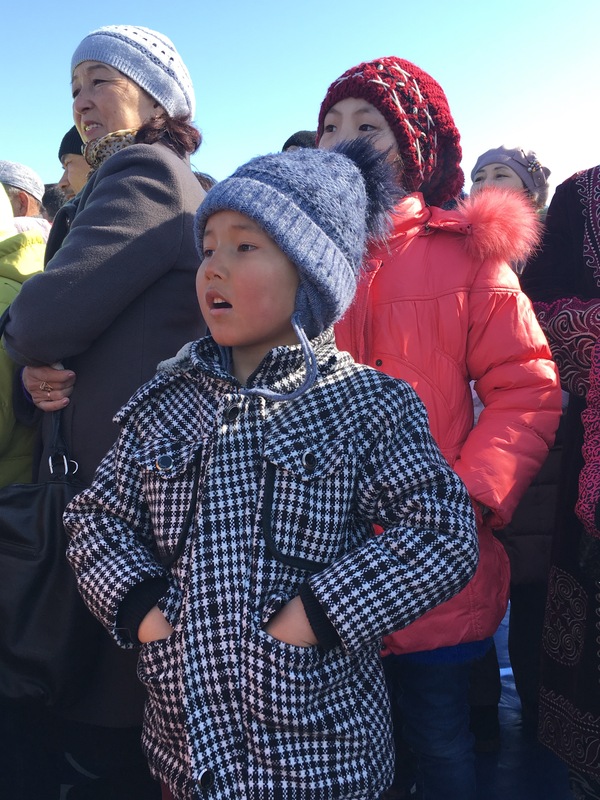 And classical Kazakhstan tour offers a wide range of places. As it lasts for 8 days, you will have good time sightseeing. 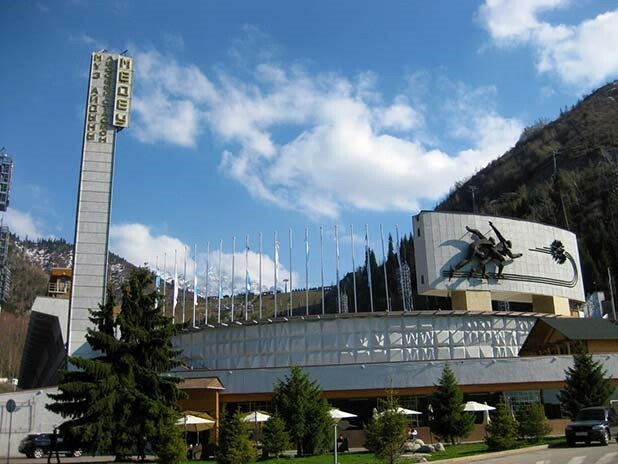 The tour “Classical Kazakhstan” starts form Almaty. 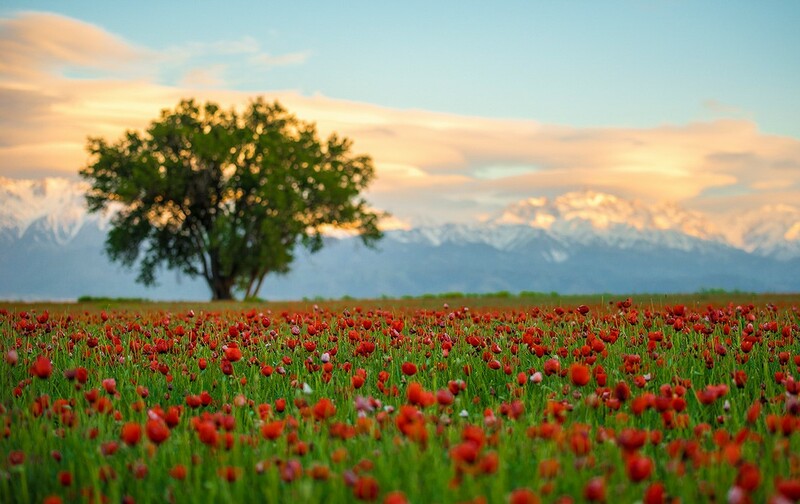 It will uncover the beauty of the southern capital of Kazakhstan. 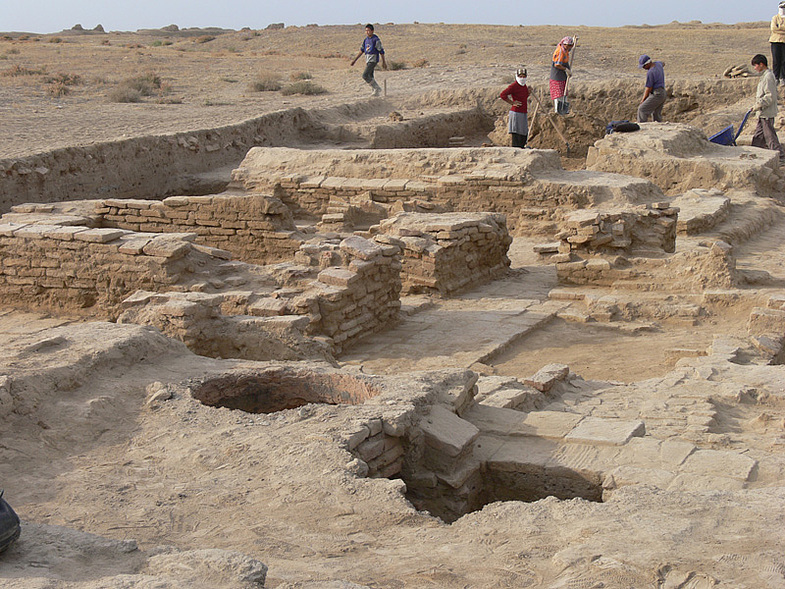 The tour tells the history of the ancient caravan route of the Great Silk Road. Moreover, tour allows you to see closer the archaeological monuments and medieval architecture that have survived till present time. Also during the tour, you will enjoy the rich nature of the reserve of South Kazakhstan. 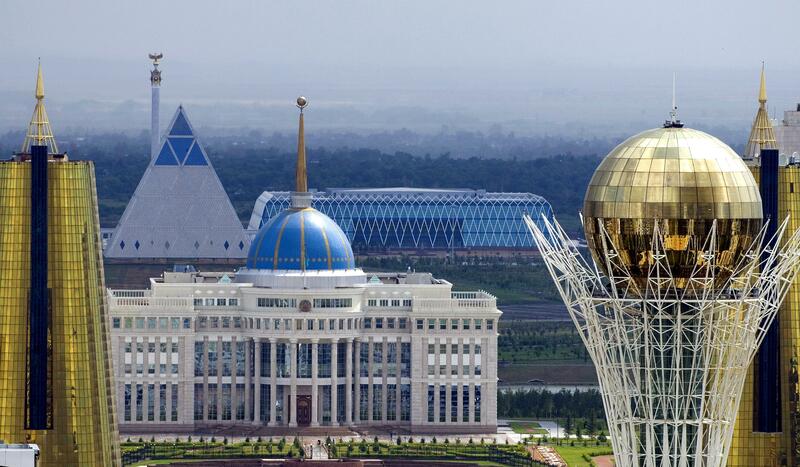 And of course you will explore the young capital of Kazakhstan – Astana! Duration 8 days/ 8 nights. Breakfast. After breakfast we will transfer to Almaty city tour. 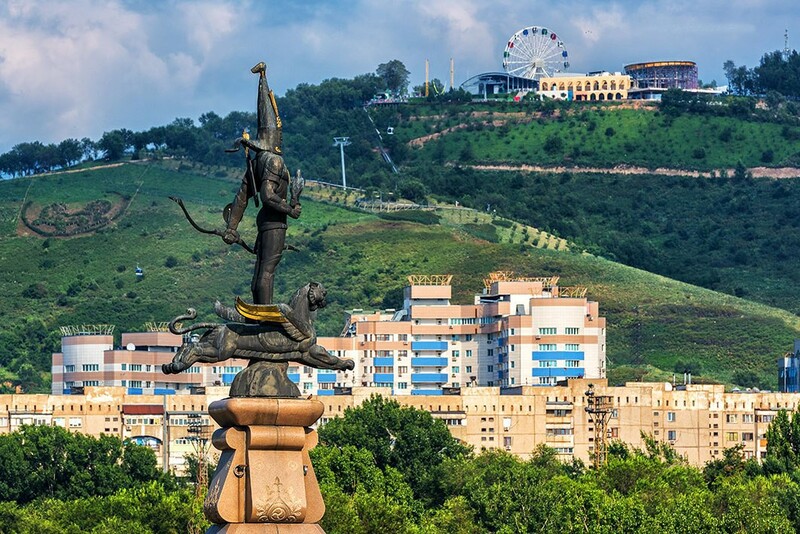 Almaty sightseeing starts with the historical center of Almaty city. During the tour, you will visit: 28 Panfilovtzev Park; Vosnesensky orthodox Cathedral; Central Mosque; Central Historical Museum; the Green Bazaar. After lunch the tour continues at the Republic Square where tourists will learn the history behind this Square. Then we will drive to Medeo Gorge- where you will have a brief stop on the huge Medeo dam. Early morning arrival at Tulkubas station. Transfer to Aksu Zhabagly Nature Reserve. 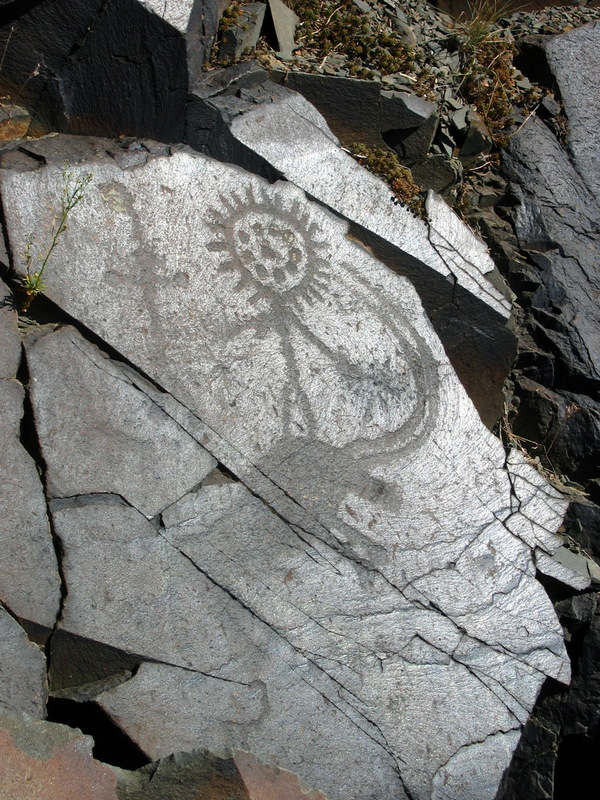 Spreading from the western part of the Tien Shan Mountains, the oldest reserve in the territory of Kazakhstan – Aksu Zhabagly is located. 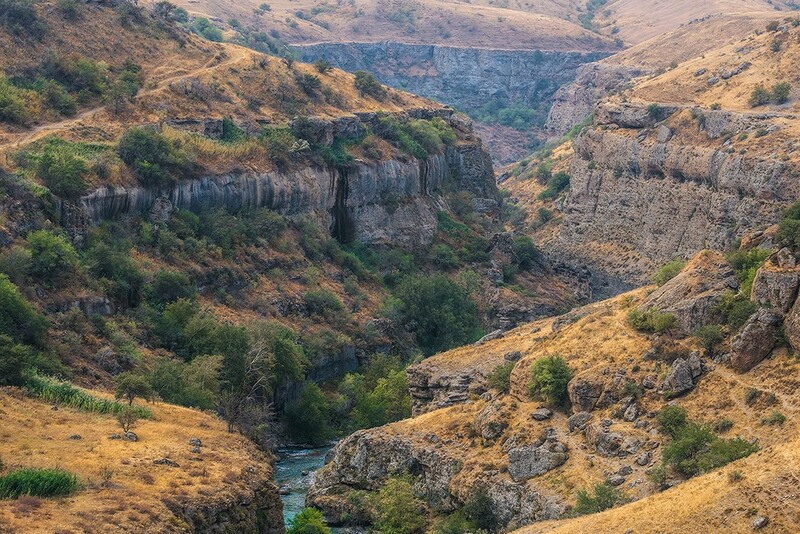 Except from, rich flora and fauna, distinguishing part of the reserve is Aksu Canyon. 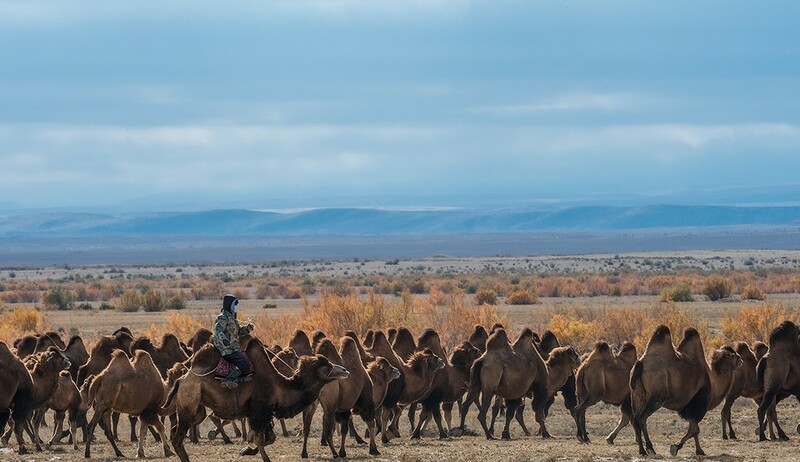 In 2015 Aksu-Zhabagly was included in the list of the World Network of Biosphere Reserves of UNESCO. After accommodation and breakfast at Aksu Zhabagly guest house, we will have excursion around Nature Reserve, including the visit of Kishi Kayindy gorge. Breakfast. After short rest, transfer for excursion to Aksu canyon. Canyon Aksu considered to be one of the largest and deepest canyons in Central Asia. Canyon is beautiful at any time of the year. After lunch we will transfer to Sairam. Sairam, with ancient name Ispidjab, was part of Great Silk Road. 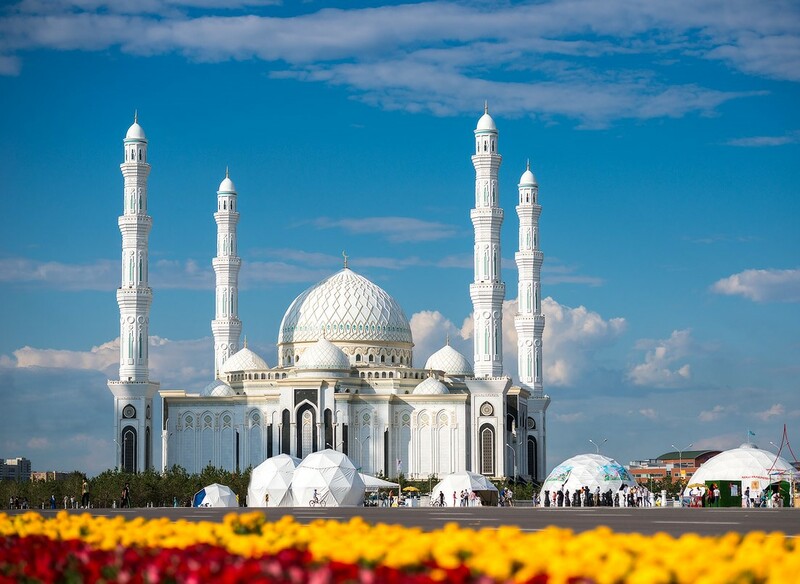 Sairam is also called the city of 1000 mausoleums, because almost every second house has a mausoleum or mosque adjacent to their house; Departure to Shymkent city. Breakfast. Visit of local Shymkent market, where you feel the vibe of Eastern Bazaar. Flight from Shymkent to Astana. Meeting with the guide at Astana airport and transfer to a hotel for refreshment. After lunch, starts Astana sightseeing tour. The tour starts from the old part of the capital, where through the streets of old city, you will learn the history of Astana. 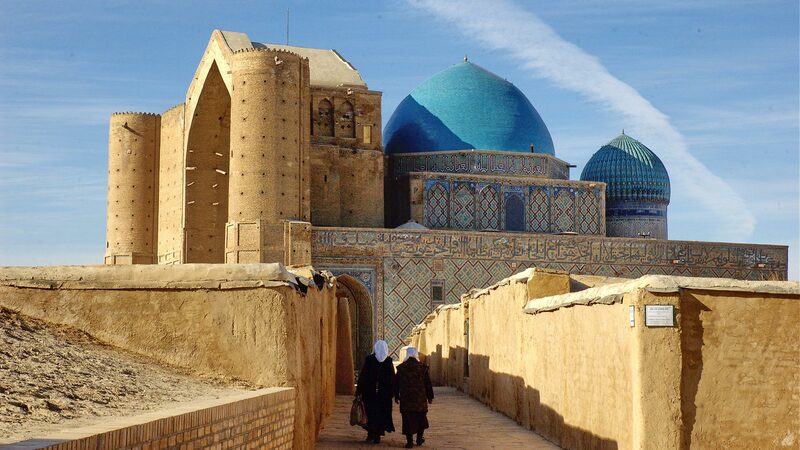 Then the tour takes you to the top attractions of new part of the city: Cathedral Mosque Hazrat Sultan; National historical museum famous for its gold found collection of Scythian tribes; Palace of Peace and Accord and others sightseeing spots. 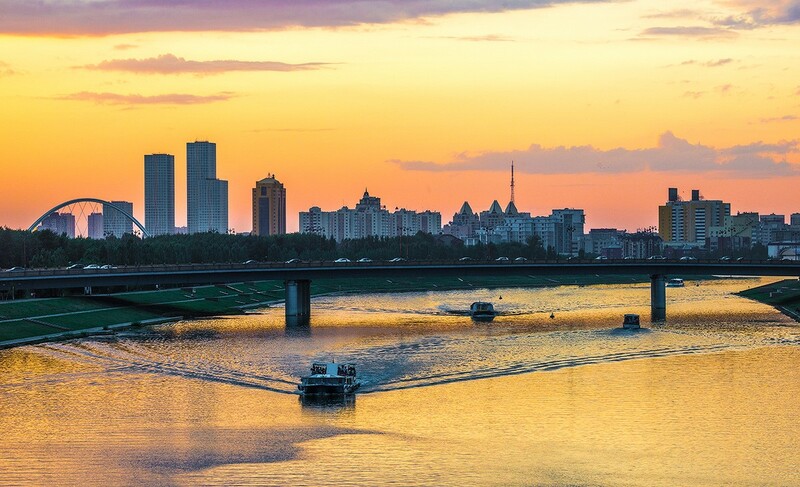 The city tour ends with the visit of Bayterek Monument, where you can see the capital of Kazakhstan from a bird’s eye view; Return to the hotel Overnight in the hotel. Breakfast. 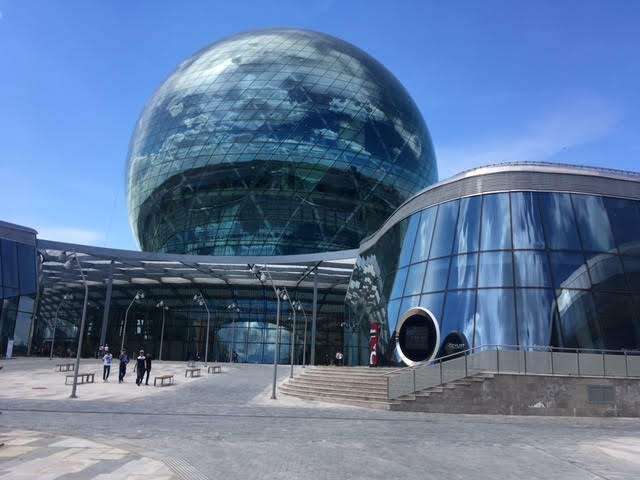 Visit of EXPO 2017 museum – one of the largest in the world sphere. The “Museum of Future Energy” consists 8 floors dedicated to alternative source of energy.